Rearing children and helping them to grow up properly is a great work for the parents. To work with dedication and affection is a joyous activity-- whole-time, whole life activity. Ours is a loving family. We have two daughters Aparna, Anupama and a son named Ajay. Our elder daughter Aparna got married to Kamalesh Babu Ruppa in 1997. They have two sons - Vikram and Vinod. Vikram was born in 2000 in Edmonton, Canada. And Vinod was born in 2004 in Seattle, USA. Our younger daughter Anupama got married to Sreenath Bandari in 1999. They have a son named Prabhat Kiran. Prabhat Kiran was born in 2009 in Santa Clara, USA. And our son Ajay got married to Rani (Aparna Akula) in 2002. They have a daughter named Pragathi. 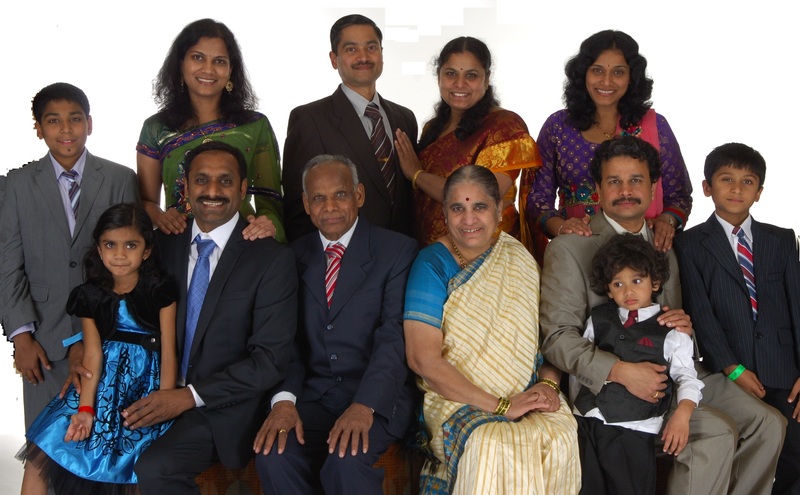 Pragathi was born in 2007 in Seattle, USA. In our family, from the beginning, we encouraged discussion and taking decisions collectively. Our favourite song is "Sit and Talk".